The second most holy day in Christianity is almost upon us: Easter. The Bible gives some details. Contemporary history can also fill in the probable elements of his flogging and execution. It isn’t pretty. However, what may be of more importance than the specific events is the goal they accomplished. This divine person made the ultimate sacrifice. He is/was the embodiment of unconditional love. Jesus doesn’t/didn’t know how to be anything else. What is the Purpose of Jesus’ Crucifixion? This topic is complex. The answers may vary slightly according to the Christian denomination. 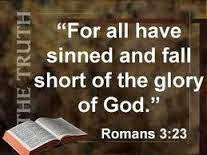 However, the fact on which all believers can agree is that Jesus took our sins upon Himself when He was killed. We could not have returned to Heaven in our impure state. Some people may add that Jesus also accepted our frailties and illnesses. In the end, what’s important to note is Jesus’ total charity and empathy. 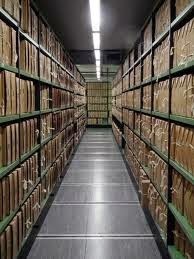 Shane wandered into a huge file room in a public building. The shelves reached from the floor to the ceiling. The file folders were labeled with the names of everyone on Earth. After some time, Shane found the folders labeled with his own name. Frantically, he pulled the files out one by one. He was astonished to find every one of his mistakes listed in them, large and small. The astounded man seized cards listing everything from petty theft during his childhood to his recent mistreatment of his parents. Shane returned the files and left the room, wondering how he could fix the problem. He knew he must not allow anybody else to see the written record of his faults. That would be unbelievably embarrassing! 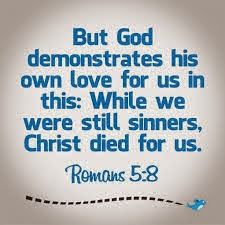 When he closed the door, He saw Jesus in front of him. Now, Shane was in full panic mode. There was no way he could allow his Savior to see the records! With tears in his eyes, he begged Jesus not to enter the room. Jesus Christ smiled gently as he grasped the man’s shoulders. Then, he walked past Shane into the area. Jesus Christ ignored the man’s protests as he methodically went through the documents and signed His own name to every one of them. This signified that Jesus accepted complete responsibility for Shane’s shortcomings. Literally, the ownership of the faults transferred from Shane to the Savior. 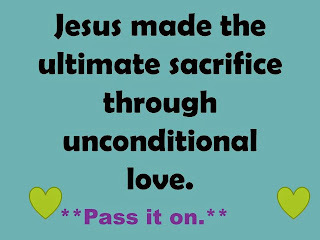 How have you felt the Savior’s unconditional love?